If your ward choir has not sung this recently, I encourage you to introduce it to your choir members. 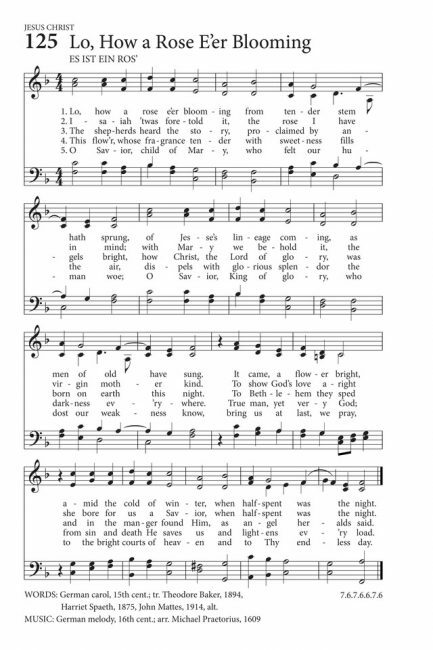 It’s a wonderful LDS Christmas hymn that has been hidden right under many of our noses. Because it is unfamiliar to many, you could sing it in the standard hymnbook SATB form (a capella if your choir can do that). There are also many lovely arrangements available for purchase. Do you have a link to a pdf of this music? I tried to print the jpg, but it doesn’t work.